I read Punto Informatico since ever, to keep me updated about what’s happening in the hectic ICT world, so it was a pleasure meeting Enrico Giancipoli, a collaborator of the online daily magazine, at the recent R2B exhibition in Bologna. 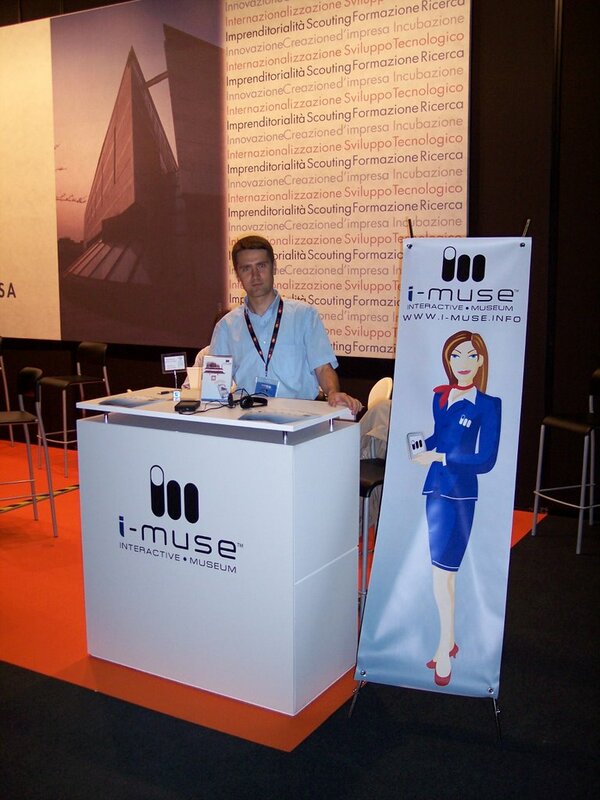 Enrico came to visit our stand, tried i-muse and asked me some questions for the article, published this week. 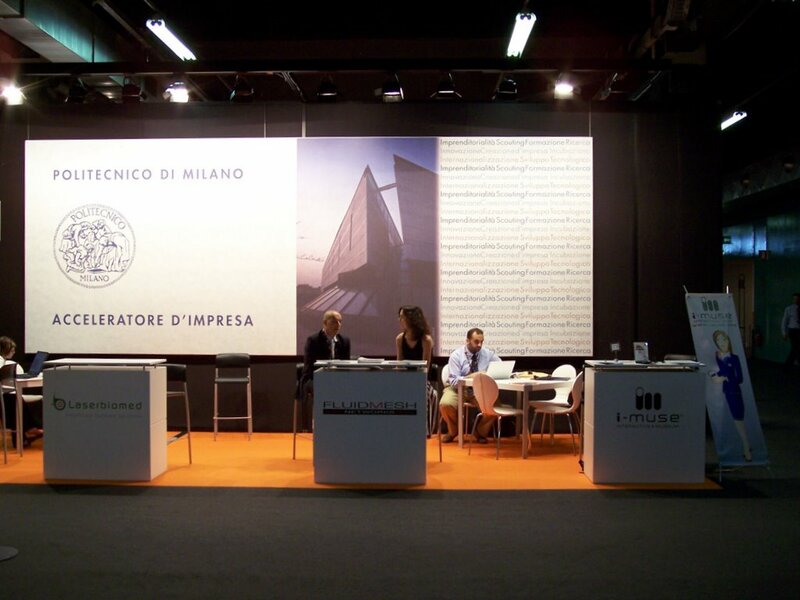 Now we’re getting ready for our second exhibition as exhibitors: on june 25 and 26, me, Paolo and Samantha, content managers, we’ll be in Milan for the Wireless 4 Business Forum. 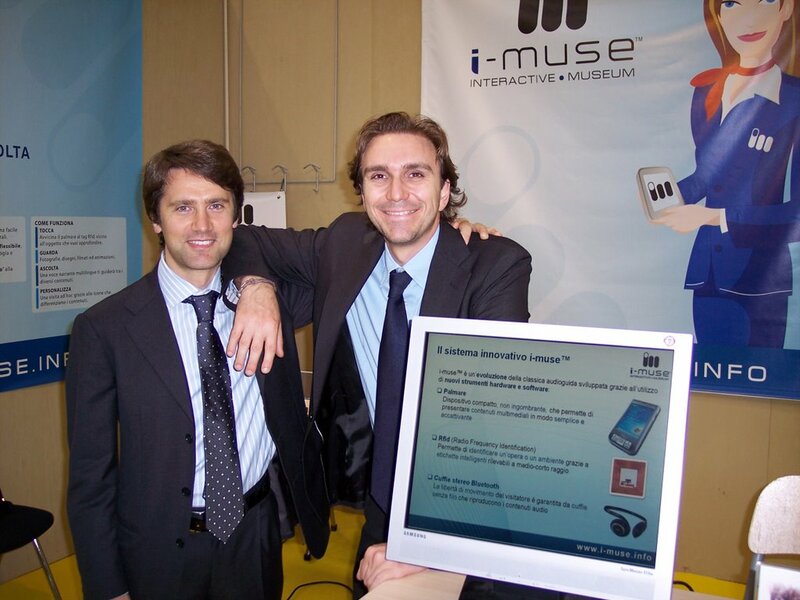 We’ll have a desk at the stand of the Startup Accelerator of the Politecnico to show i-muse, just like I did with Guido in Bologna. Enjoy reading Punto Informatico’s article! Me and Guido, marketing manager, setup the stand with the banners made by Luca and we welcomed people interested to see the videoguide running on Pdas interacting with Rfid tags. During the two days we continued the networking activity begun with the birth of Togunà Interactive a few months ago, searching for partnership with hardware vendors, Rfid and Zigbee in particular, software solutions complimentary to our own, and presenting ourselves to potential clients, also thanks to the staff of the Startup Accelerator of the Politecnico di Milano. Very interesting was learning the experiences of other startuppers in their search for financial support, in particular with italian Business Angels. About this I’d like to point you out to a guide made by IBAN and Kpmg. 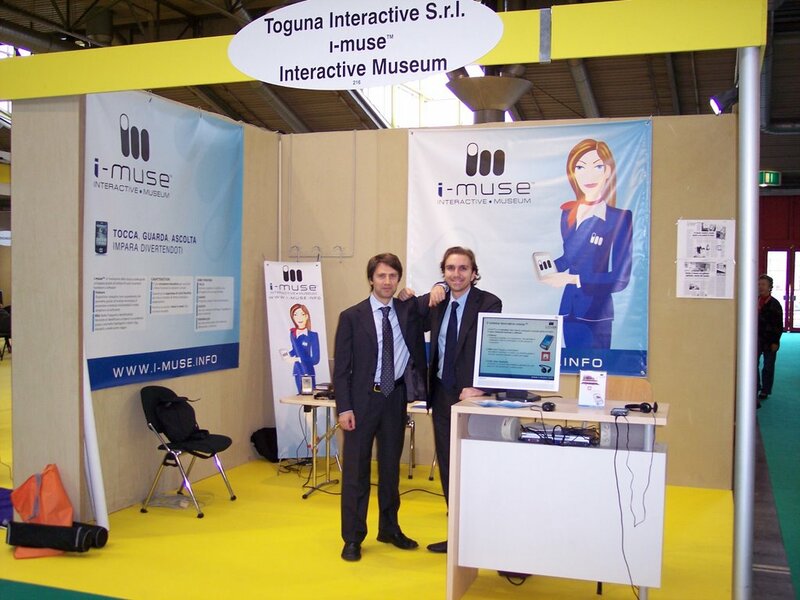 A positive result then for Togunà’s first stand, after the demonstration of i-muse at the Ichim 07 last year in Toronto. 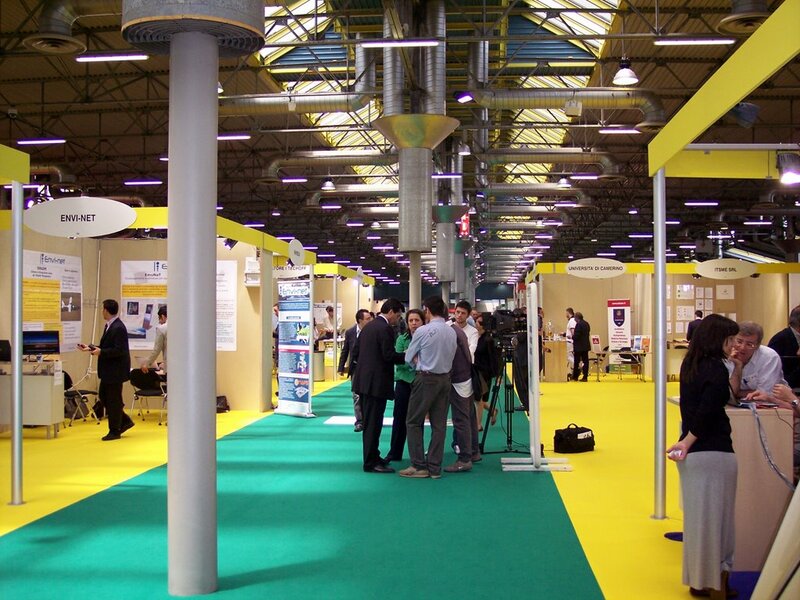 In the pictures you can see the stand, as well as the Start2B area of the exhibition. On june 5th and 6th Togunà will be at stand 216 of the R2B exhibition, in the Start2b area, dedicated to new entrepreneurial initiatives. 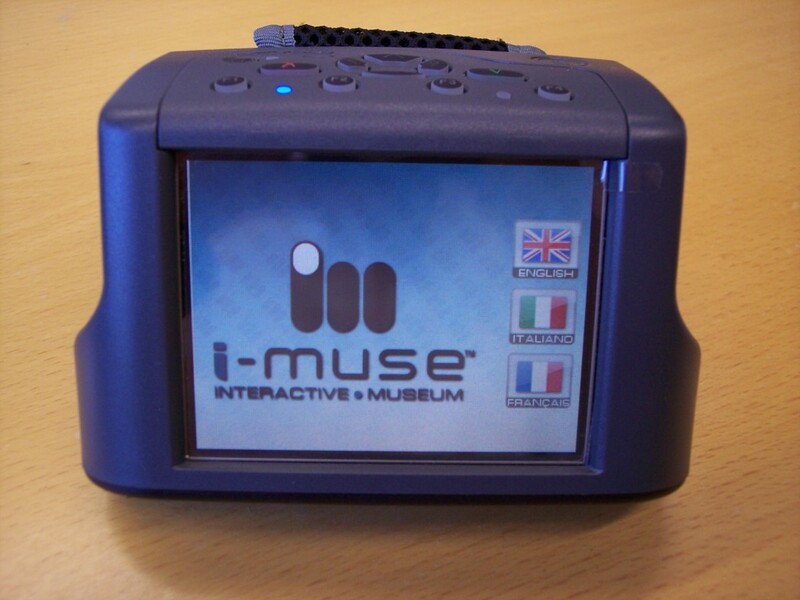 We’ll showcase our first product, the i-muse videoguide system, so that interested people can give it a try. Before leaving for the AAM 2008 Annual Meeting in Denver, Intruders.TV’s staff interviewed me when I met them in Milan during the event The Next Web Now organized by Microsoft. It’s a series of a brief answers to questions about the startup of the entrepreneurial adventure. The interview is short and effective: a good presentation for Bologna. Enjoy it! I went there to attend the 2008 Annual Meeting of the American Association of Museums, since we decided that at least a Togunà’s representative couldn’t miss such an important event, which attracted more than 5000 attendees, including 300 from outside the US. The week spent in Denver has been intense and weary, due to time zone effects and the high altitude. Actually Denver is located exactly one mile above sea level. I met a lot of people of the sector and brought home a series of useful indications for the future of i-muse. Togunà Interactive S.r.l. Is Born! In this entrepreneurial adventure I involved Guido, Luca, Paolo and Samantha together with me. Five young guys from Como with complementary skills who try because they believe they can succeed. Suggested by Guido, who also gave birth to the name i-muse ;), it’s an african word indicating the “house of wisdom“, a sort of covered place such as the one in the picture, where the wise men of Dogon villages in Mali get together to have a talk. A simple name, easy to explain and with a proper meaning if we recall the weekly evening meetings we regularly have since we started working on i-muse. The company is just a starting point, although with a solid base, since we built a lot until now thanks to the work done to create a product such as i-muse. Now we’re on the market, ready to take care of the first customer, and I, as President of the Management Board, feel at the same time the burden and the honor to give my best in order to continue in this adventure together with my partners! They came to the Educational Silk Museum of Como to see the videoguide in action and ask us if we made the system with our sole forces or someone helped us out. Although the number of people involved in the project who supported us is relevant, from the Politecnico to the Chamber of Commerce of Como, to the Educational Silk Museum’s staff, the investment in terms of time and money has been entirely by ourselves. This is the message of the nice video edited by Comoe20.it’s staff and we hope the people will get it. You are currently browsing the archives for the i-muse category.